Shanty Discography - Latest Releases - Last updated 20th August 2007. We have stopped adding new releases, as the website of the Chantey Cabin is much more up to date and is also the place to get your supplies. See link below. We are trying to update the website to include as much information as possible on shanty & maritime festivals for the forthcoming year. If you would like us to include details of your festivals, please email alan@shanty.co.uk. We now have confirmation from the Ellesmere Port Museum that the festival can go ahead there next Easter. The dates will be 29,30, and 31 March. Because the event falls early this year we have arranged that all the performance spaces are indoors. We can take them outside if we are lucky with the weather. For those who have been before you will be pleased to know we have found an alternative to the Porters Row space and won’t be using that this time. We plan performances during the day over the weekend. These will start from Friday lunch time around the museum site with ticketed events in the evening on Saturday and Sunday. There will be a gathering for Artistes, volunteers and weekend ticket holders on the Friday night in the real ale bar on the museum site, details to follow. People will be welcome on site on Monday if they want to carry on informally but we know many of you will need to travel home on that day so we are not organising anything official . There will as in the past be free spaces for camper vans for the whole weekend on site. As many of you will know the festival does not attract any significant funding. It is very much a gathering of like minded friends who want to come together at the start of the season, to keep the music alive and to and have the opportunity to perform. We are gradually building small sustainable funding streams for the event and hope this will grow, but cash remains limited. Following a successful event last year we will be able to offer a small contribution towards petrol costs. Amount will be dependant on days of attendance and number of artists attending. We have considered running the event with just a few artists and paying more, but feel that would detract from the purpose and feel of the event. What little money we have will be shared out equally among the artists who are kind enough to want to be part of the gathering and give their time. Please let us know If you would like to perform at the event on this basis. We are trying to get confirmation of artists now so we can get some early publicity out. Kenneth Denton Shoesmith was a member of the Royal Institute of Painters in Watercolours and of the British Society of Poster Designers. He exhibited at the Royal Academy, the Paris Salon and at the Walker Art Gallery, Liverpool in addition to one-man shows in Belfast and Liverpool. 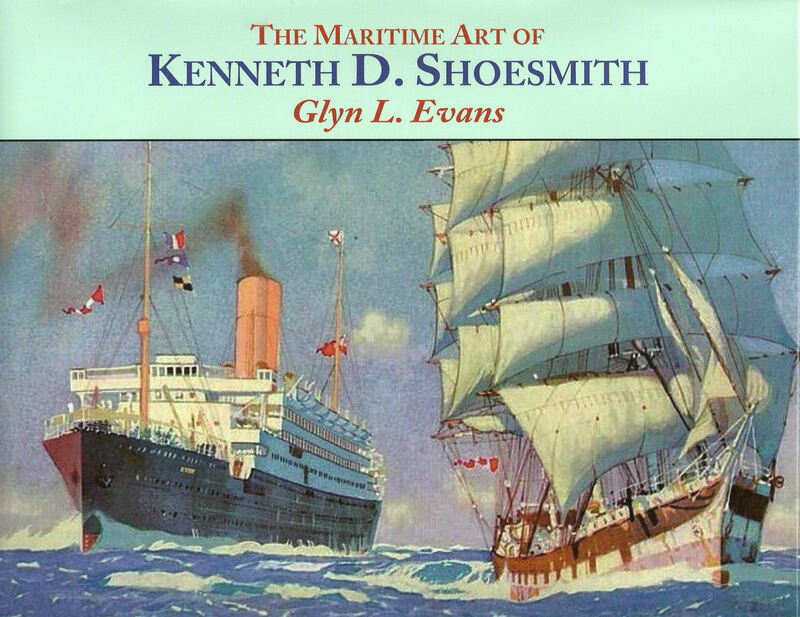 His work today is known and appreciated by only a few, yet his maritime art perfectly captures the romance and adventure of ocean liner travel in the 1920’s and 1930’s. Much of his work was for Royal Mail Lines although other shipping companies of the day employed his skills, including Canadian Pacific Railways, Blue Funnel, Union Castle and Anchor Line. The pinnacle of his career was the collection of murals for Cunard White Star‘s “Queen Mary” whose maiden voyage was in 1936. Thankfully, both the ship and the murals have survived to this day at Long Beach, California. If you are visiting a shanty or maritime festival and looking for somewhere to stay, why not give a try. Johnny Collins Sadly, Johnny passed away on 6th July 2009, but we are retaining the site in his memory. Maritima Woodcarving No shanty festival is complete without Andy Peters and his superb wood carving. 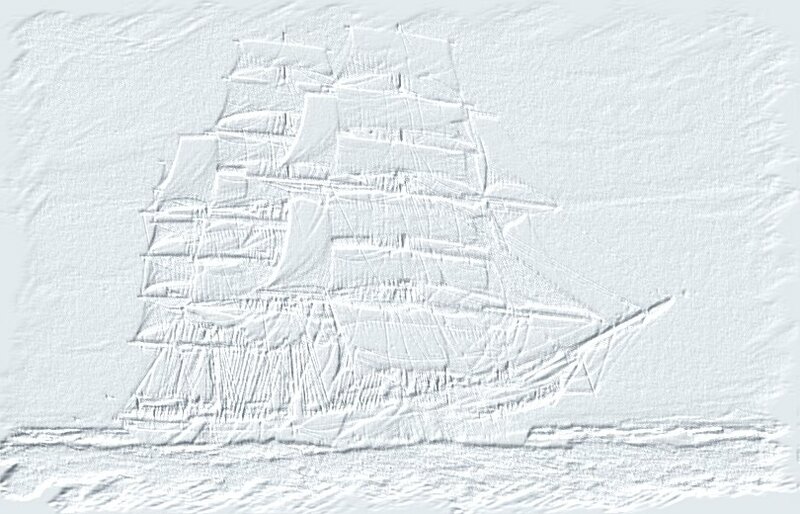 Sea Room - Books and recordings of Sea Shanties, Ships etc. This List was last updated on 14th January 2013.